At 5:59 a.m. on the Thursday 12 days before Labor Day, the Minnesota State Fairgrounds are clean. It is quiet. 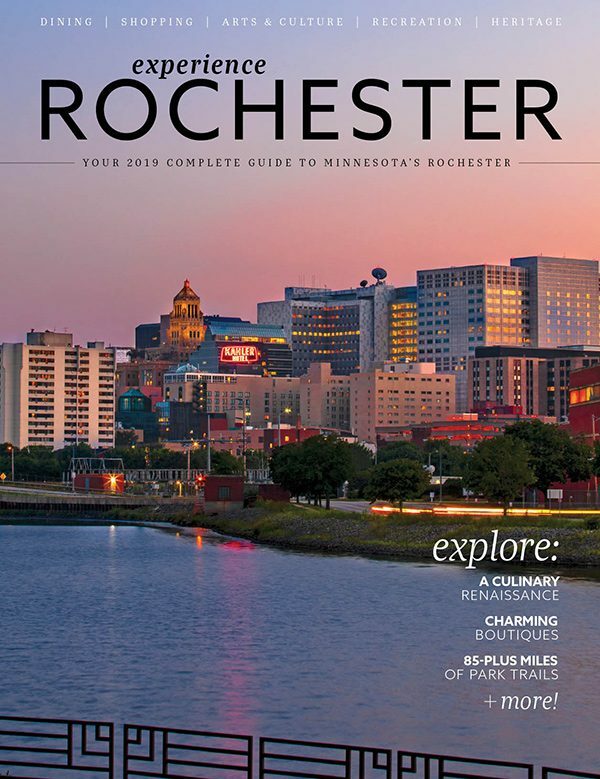 The aroma of Pronto Pups, cheese curds, sweet corn, and livestock has yet to take over, and the cash registers are empty. 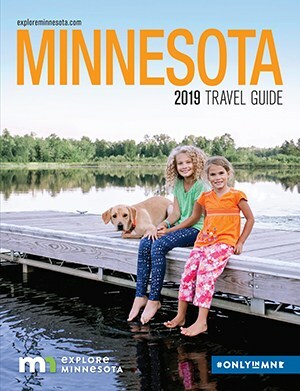 In 2017, the 288 hours that followed saw nearly 2 million people handing over tickets for the Great Minnesota Get-Together. 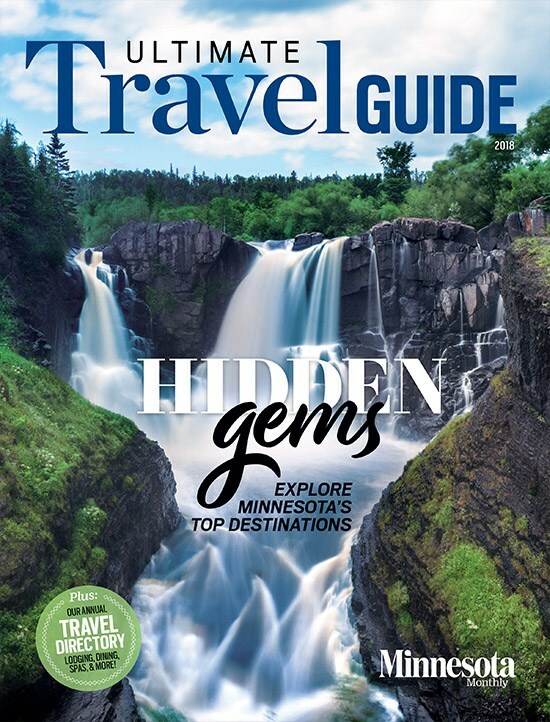 From Roseau to Roseville, Worthington to West St. Paul, Anoka to Zumbrota, Minnesotans make the pilgrimage with one thing in common: We are here to eat. 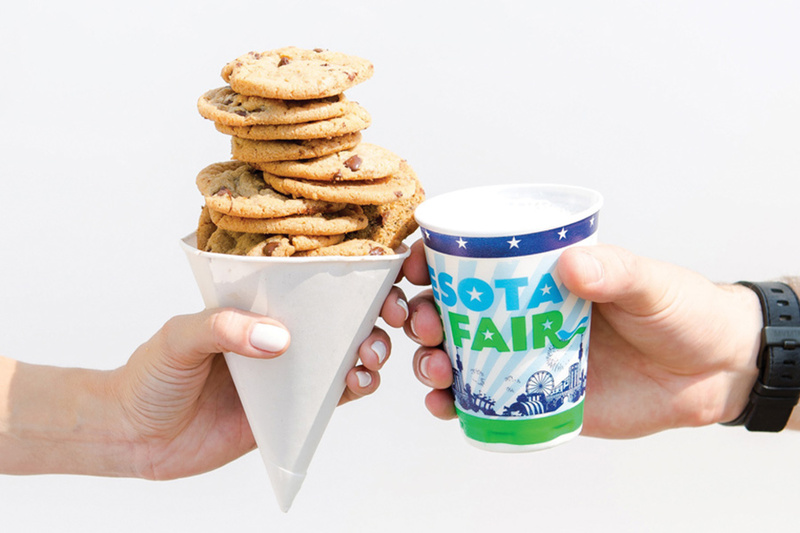 There are about 300 food vendors at the Minnesota State Fair, and nearly twice as many begging to get in. The allure is more than just the dream of making big money in less than two weeks, but that’s part of it. Last year, the food vendors at the fair made more than $41 million in revenue, plus another $11.3 million in beer sales. Martha’s three fair locations (the third opened in 2016) make the most money by far: a tidy $4.3 million, a revenue rise of 79 percent since 2013. That’s more than 13 million gooey, hot, chocolate chip cookies. “We can’t believe it. We do the math: Oh, man, it is really big,” she says. “Martha’s [is] the franchise,” says Stephanie Shimp, co-owner of the restaurant company that runs the Blue Barn, which has been in the fair’s top 10 in food revenue since opening in the renovated West End Market in 2014—after nine years of applying and getting turned down. “The fair is smart. They’re all about maximizing our revenue, for them,” says Shimp. The business model is simple, she explains. You don’t pay rent, but the fair gets a 15-percent cut of a vendor’s top-line sales (plus 18.5 percent from beer). So, when Sweet Martha’s makes $4.3 million, the fair rakes in nearly $650,000. “The more successful I am, the more successful they are,” Shimp says. Since opening, the Blue Barn has brought in about $600,000 in food sale annually, and another $200,000 for beer. 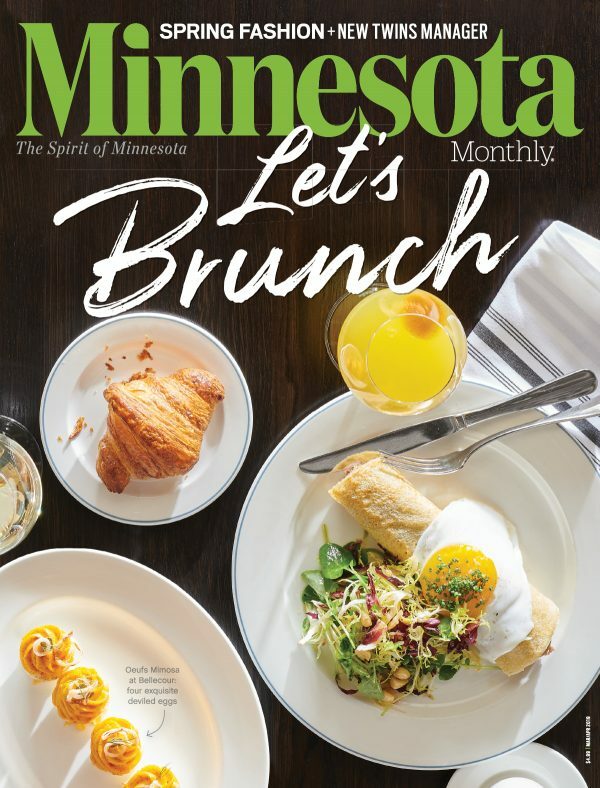 A part of the Blue Plate Restaurant Co.—including The Freehouse in North Loop, Edina Grill, and many more spots around the Twin Cities—the Blue Barn hit a sweet spot between nostalgia and innovation, turning a hipster favorite like chicken and waffles into chicken in a waffle cone, and sprinkling Pop Rocks on French toast. Last year’s top seller was a breakfast bake: a bowl with scrambled eggs, chicken, and chorizo. But $800,000 isn’t enough for Shimp to up and quit her day job with Blue Plate. “I have six more years to pay off my building,” she says. The Blue Barn makes a $100,000 payment on its $1.4 million building every year. So, after expenses, and paying that debt, the Blue Barn’s profit is about $60,000. “And I have to pay taxes,” she adds, laughing. For Dave Cavallaro, the fair is his day job. 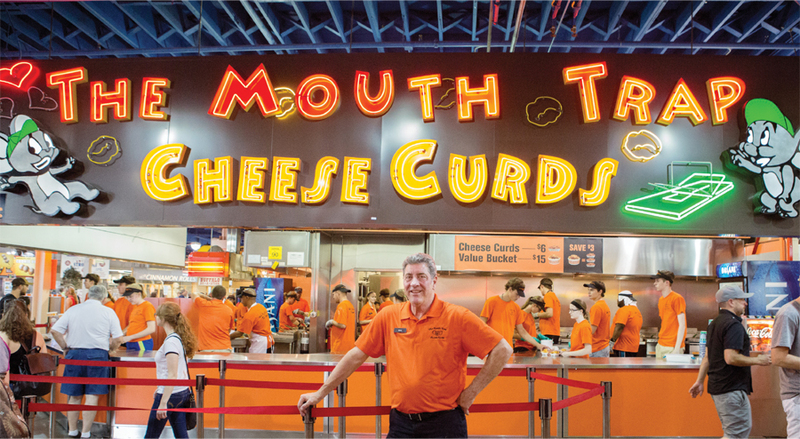 Since 2001, he has been frying up millions of the finest curds out of Ellsworth, Wisconsin, at the Mouth Trap Cheese Curds inside the fair’s Food Building. 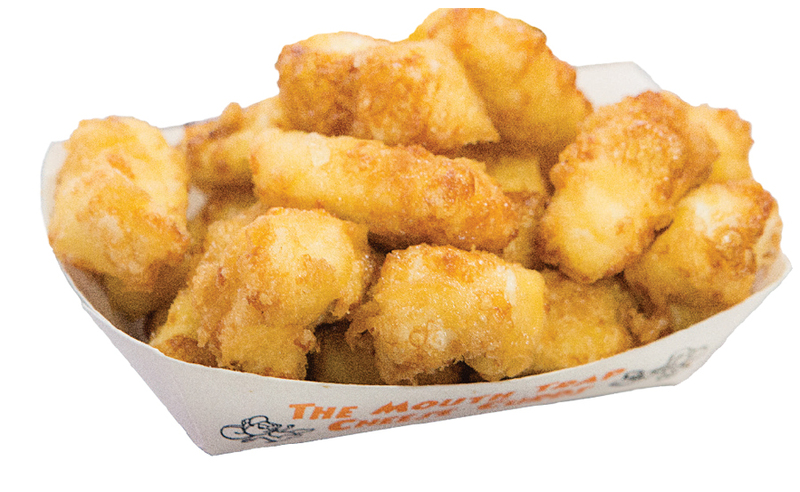 Each season, you, I, and another 150,000 people hand over $6 for a tray of about 15 creamy, greasy, addictive hunks of cheddar. The median gross revenue for a food vendor is $70,000, according to the State Fair’s 2017 data. There are extremes: Sweet Martha’s at the top, and The Salty Tart’s macaroons are at the bottom. “I don’t get to skip work for the rest of the year,” says owner Michelle Gayer. “That’s an urban myth, people!” She grossed about $10,000 in 2017, selling 18,000 macaroons from her small cart in the West End. While Gayer’s very-first time at the fair was to sell macaroons in 2010, many vendors are longtime visitors who had a dream. Tim “Giggles” Weiss has been the unofficial mayor of the fair’s north end for some time. Near the lumberjack show and the tractors, his log-cabin Giggles’ Campfire Grill has had people lining up for walleye cakes since 2000. “I want my products to sell year-in and year-out; I don’t want to be the one-year wonder,” says Weiss, who nonetheless hit the jackpot with Duck-Bacon Wontons in 2017. “We sold 33,000 orders. We’re hoping to sell even 75 percent of what we sold last year,” he says, acknowledging that the wontons won’t be the new, shiny offering this fair. Giggles’ made $625,000 in food revenue in 2017, and another $935,426 in beer (see Beer Boom sidebar). To make the lengthy menu of more than a dozen items profitable, careful record keeping is key. In addition to the fair’s 15-percent take and 7.375 percent for sales tax, Weiss says his food cost is 25 percent, labor is 18 percent, and then he has to buy an admission ticket for every person who works his booth, for every day they come to the fair, which is about $12,000 annually, or 2 percent. “The percentages don’t lie,” he says. 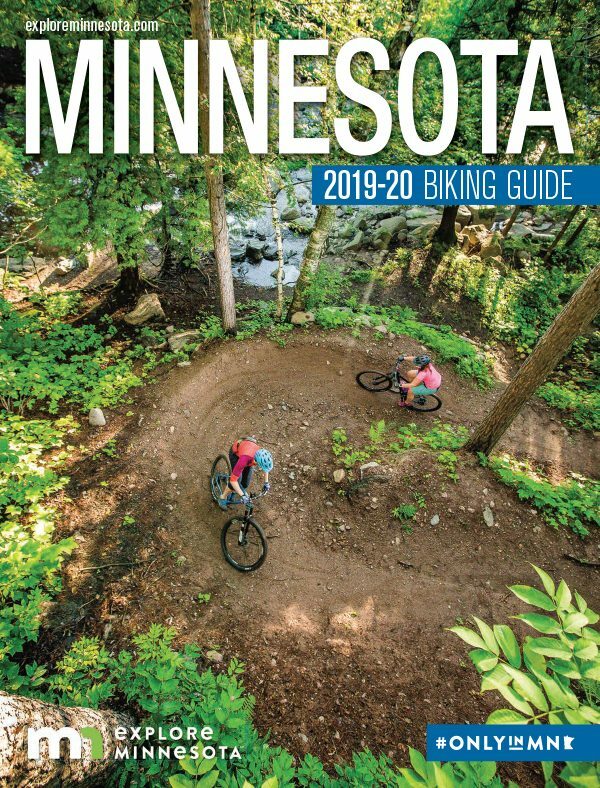 “A really, really good operator can make 20 percent to the bottom line, before income taxes.” A dozen different operators who spoke to Minnesota Monthly confirmed this number is accurate, give or take a few percentage points. The fair does its best to ensure operators’ reported sales figures are legit, according to Dennis Larson, the fair’s director of licensing. “Despite what everyone thinks,” Larson says, the fair does not control prices, but they do audit. A team of fair employees spot-checks vendors and tracks cup purchases. Tracking beer sales is easier: The fair gets copies of invoices for every keg of beer sold on its grounds. “We control every variety of menu item to a fault,” Larson says. 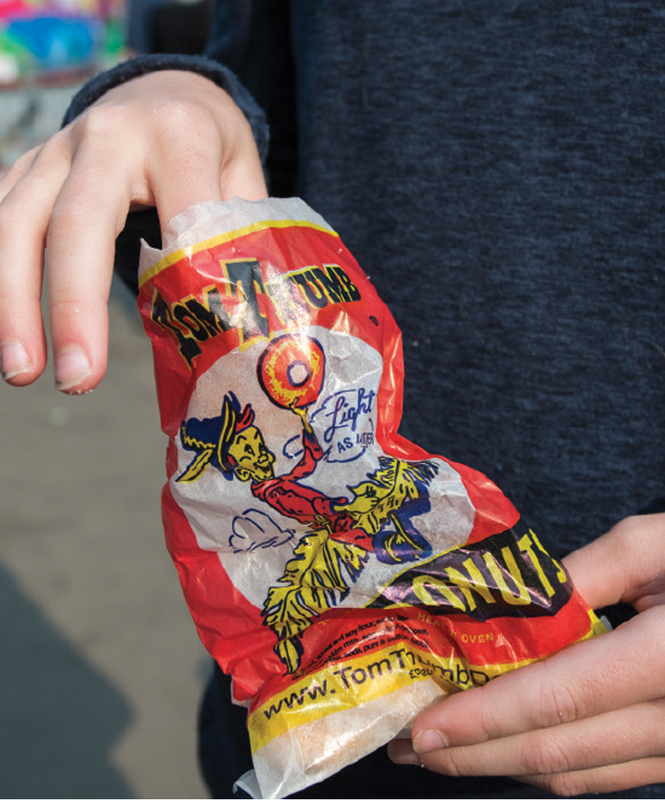 “I never thought I’d be licensing the length of a corn dog.” Some spots can sell 6-inch corn dogs, others 12-inch corn dogs, and there’s even an 18-inch corn dog—“for the novelty of it,” he adds. 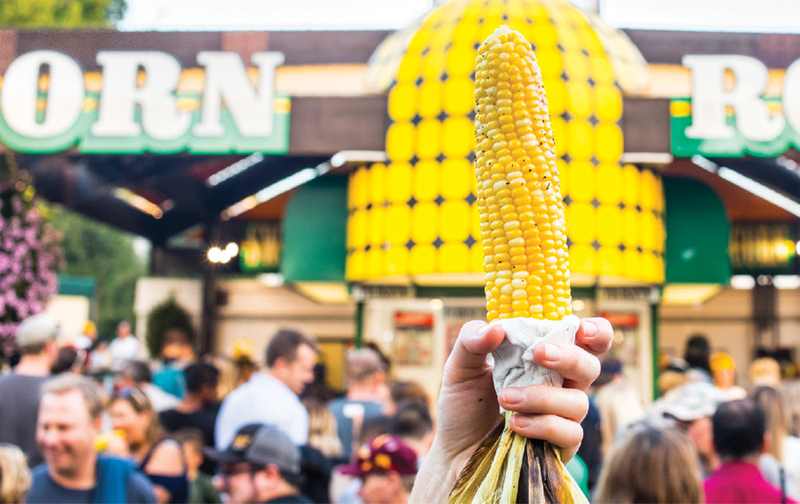 In 2017, the Minnesota State Fair became the state’s largest taproom: 300 different brands poured by 25 vendors. That’s a drastic change since 2007, the first year that the legislature allowed the fair to pour anything other than 3.2-percent ABV beer. Before that, the fair offered just 24 beers, and all were national brands. 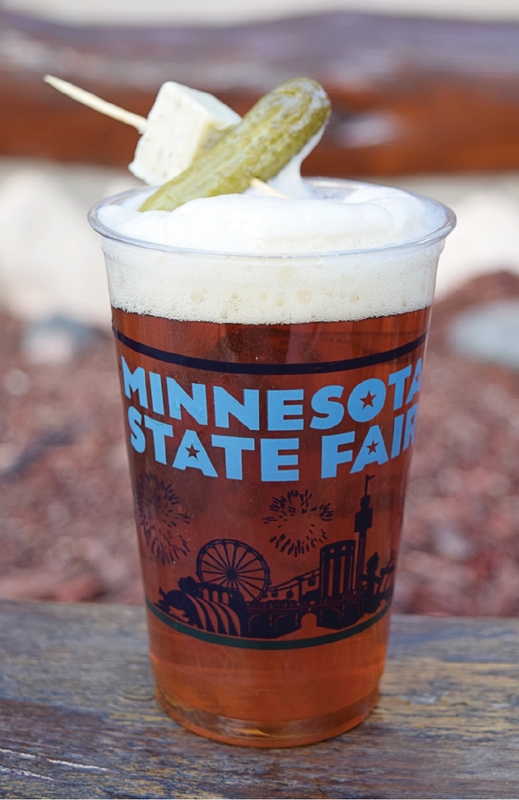 “Craft beer has been an explosion,” says Minnesota State Fair licensing head Dennis Larson. Ball Park Cafe, Cafe Caribe, Coasters, Giggles’ Campfire Grill, and Shanghaied Henri’s all brought in $900,000 or more in beer sales last year. Giggles’ beer revenue saw a 42-percent jump from 2016 to 2017, largely because of the success of their Dill Pickle Beer, an ale created with Barley John’s Brewing Company in New Brighton. “We sold 31,000 20-ounce dill pickle beers,” says Giggles’ owner Tim Weiss. “If you create a specialty beer, you have to commit to 100 kegs to sell, which is a $10,000 gamble,” he says. But when it pays off, it pays off big time. In 2013, Ball Park Cafe sold Lift Bridge’s Mini Donut Beer, which was the beginning of the gimmick-beer trend. Those beers are up and down, but Mini Donut Beer has sustained popularity over the years, selling 44,000 pints in 2017. 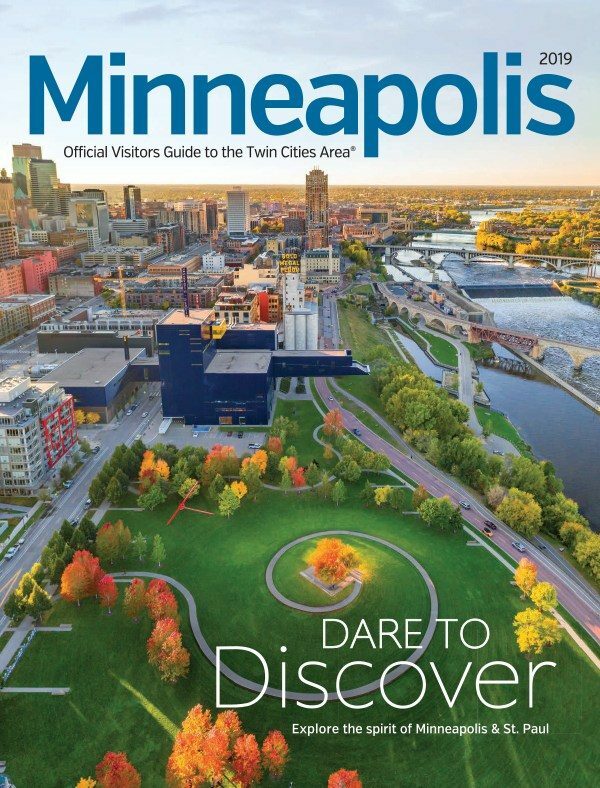 Then, in 2015, the legislature allowed brew pubs to serve beer on the fairgrounds, which led to the Minnesota Craft Brewers Guild “Land of 10,000 Beers” exhibit. Last year, the guild’s revenue was more than $762,000. In total, the beer vendors brought in $11.3 million in beer sales last year. The fair’s 18.5-percent cut was $2.1 million. That kind of revenue makes vendors and fair organizers raise an ice-cold tall one. New food vendors have a tough road ahead. “It’s the worst lottery in the world,” says Larson, who reviews the applications. 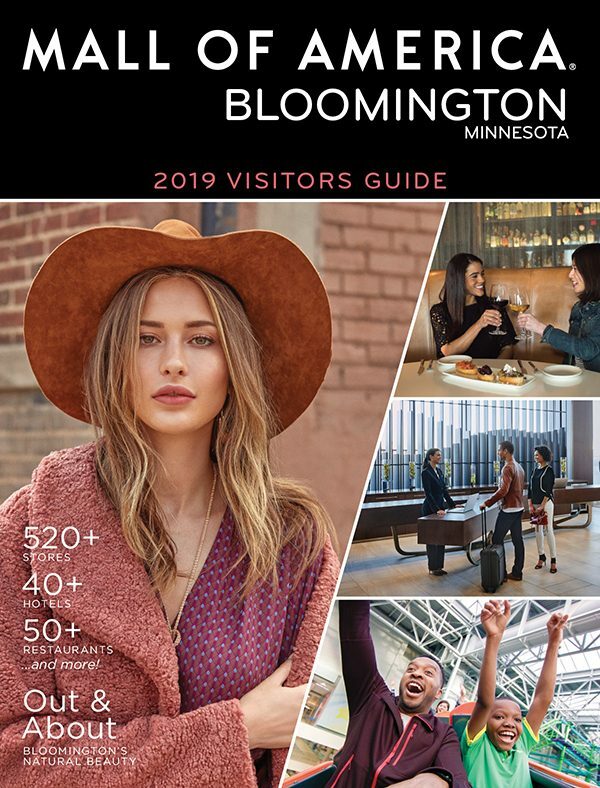 Of the 470 new applicants, only a handful were added in 2018, he says, noting the fair has had about 300 food vendors for the past decade. Stine Aasland’s heart-shaped, flavorful Nordic Waffles hit the jackpot for 2018, and the booth is taking over a former produce stand in the fair’s West End Market. 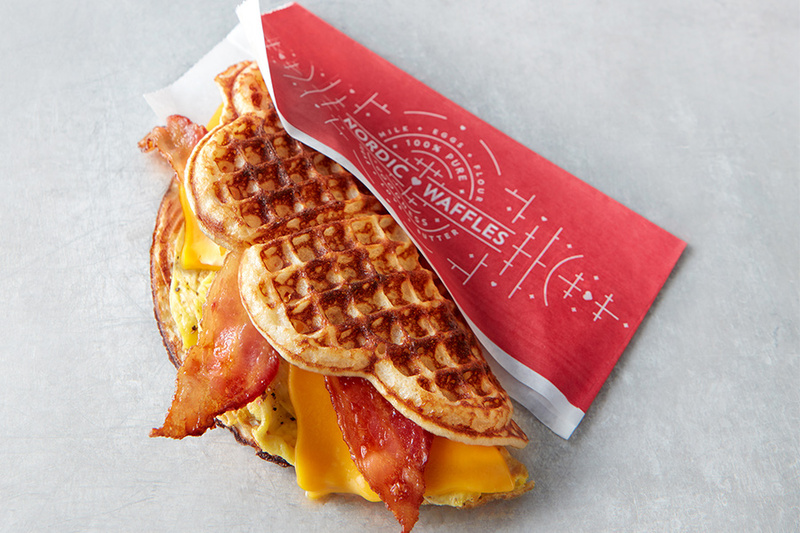 Aasland built the waffle-selling empire in Norway, and has worked fairs, festivals, and the Super Bowl locally while building up distribution across Minnesota, Wisconsin, and the Dakotas. How did waffles make the cut? “It’s a great product,” Larson says. 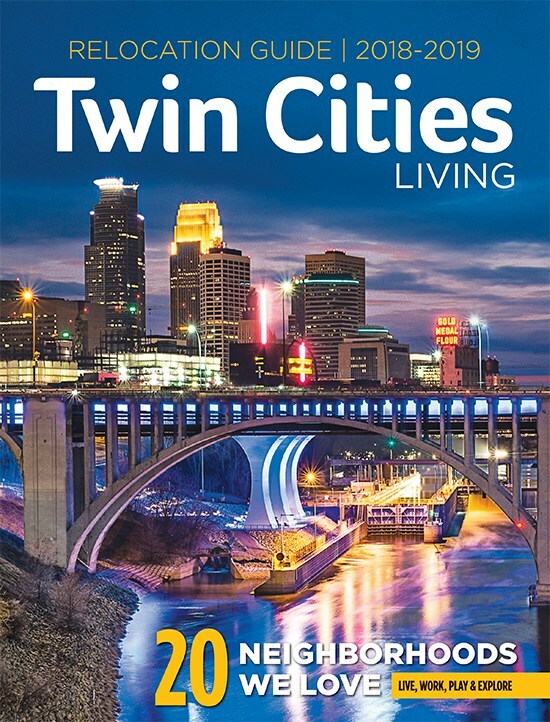 Its combination of Scandinavian ethnicity and State Fair uniqueness also makes it appealing. “We try to get pros who know how to do volume,” he says. “Before you go to the Super Bowl, you have to play a lot of football. You’re not going to try it here. Try it somewhere else.” In other words, take your fried kombucha-on-a-stick concept and work it out at a county fair first. Another newcomer is The Hangar, an aircraft-themed eatery serving sliders and craft beer that’s taking over the Pet Center building on the fairgrounds’ northern end. White Bear Lake’s Anchor Coffee House opens up west of the Agriculture Horticulture Building. Plus, Taco Cat (August 23-28) and Mama D’s (August 29-September 3) will share Midtown Global Market’s booth in the International Bazaar. Novelty plus newness will always be part of the food draw. 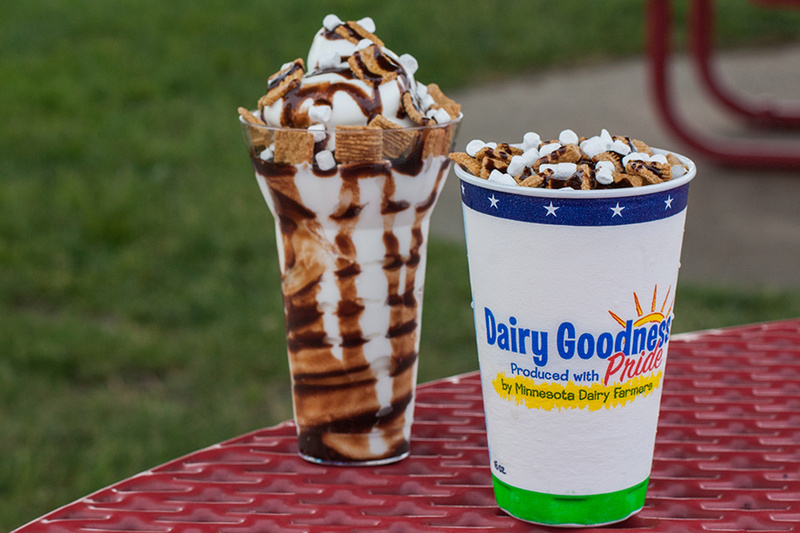 The Midwest Dairy Association—its two locations often finish second to Martha’s in overall food revenue each season—have added a s’mores-flavored malt to the Dairy Goodness Bar this year. But the likely number-one seller will be the chocolate malt, which sold more than 35,000 last year. 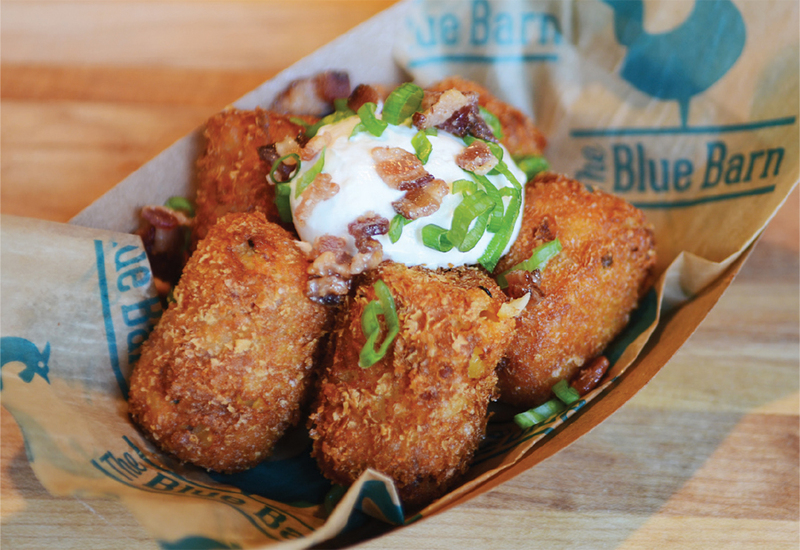 Bacon-stuffed tater tots! 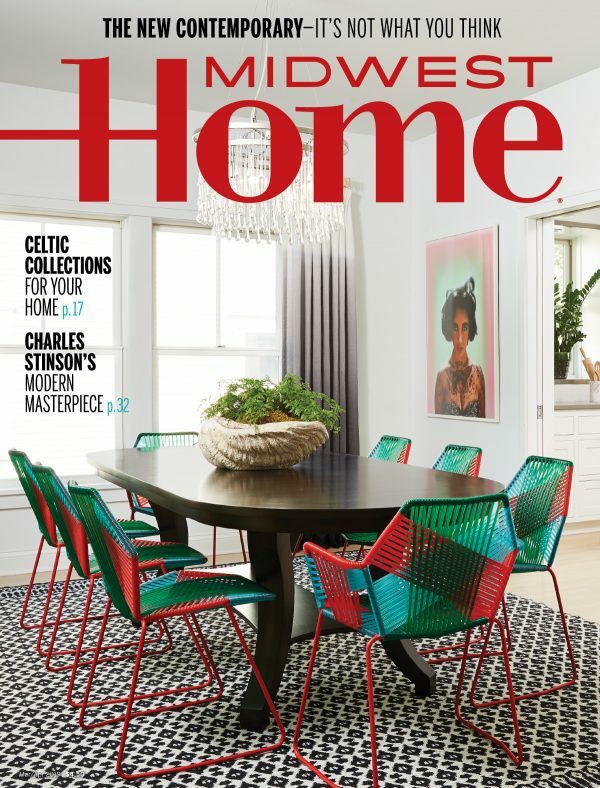 New at the Blue Barn. Also new for 2018, Giggles’ is launching a Turducken (turkey, duck, and chicken) Sausage Sandwich, and the Blue Barn is adding bacon-stuffed tater tots, and the Swedish Meatball Smörgås, a meatball sub topped with white gravy.